Buganda Land Board (BLB) has welcomed the World Bank's #standforherland (stand for her land) campaign 2019 aimed at empowering all women to have secure tenancy on land wherever they are and whenever they want. BLB business activation manager Cissy Kiyaga while delivering a presentation on behalf of the women caucus at the closing session of this year’s World Bank Conference on Land and Poverty in Washington DC (March 25-29), noted that over the years, women have faced cultural, financial and societal challenges to secure land rights. Kiyaga applauded the organisers of the conference for giving more attention and space to the women cause which facilitated the discussion on women land rights. “Continuing with the #standforherland momentum, we have the following asks: For the next conference, may we kindly organize a high level plenary for securing women’s land rights so that we can have an exclusive discussion particular to women? We also ask for inclusion of gender implication clauses in all World Bank panels, presentations and sessions so that we clearly see the implication of gender in the land sector.” Kiyaga said. They also discussed forestry, security of tenure, new technology, fit-for-purpose land administration, new methods of land registration, land reforms, security of tenure and social transformation, land and the Sustainable Development Goals and gender issues on land, etc. On behalf of Buganda Land Board, Kiyaga presented a paper on financial inclusion and another on the recently introduced land electronic card. She noted that Buganda kingdom are the leading champions in Uganda in advocating women rights as exhibited in their consistent issuance of lease titles to both women and men. According to Kiyaga, BLB has been sensitising and encouraging women to always register and secure their land interests if they don’t have money to obtain certificates of title. With leases issued by Buganda through BLB, women and men have an equal opportunity of getting a title as long as they meet the necessary requirement, she said. “We also innovated the land electronic card which uses the palm-vein technology as a means of safeguarding people’s land documentation. This technology is very secure and we use it with both men and women, as long as they are the rightful owners of the land. It will go a long way in eliminating land fraud because the owner of the land is the only one who can sanction a transaction on a given piece of land by presenting their palm for scanning and confirmation,” she explained. 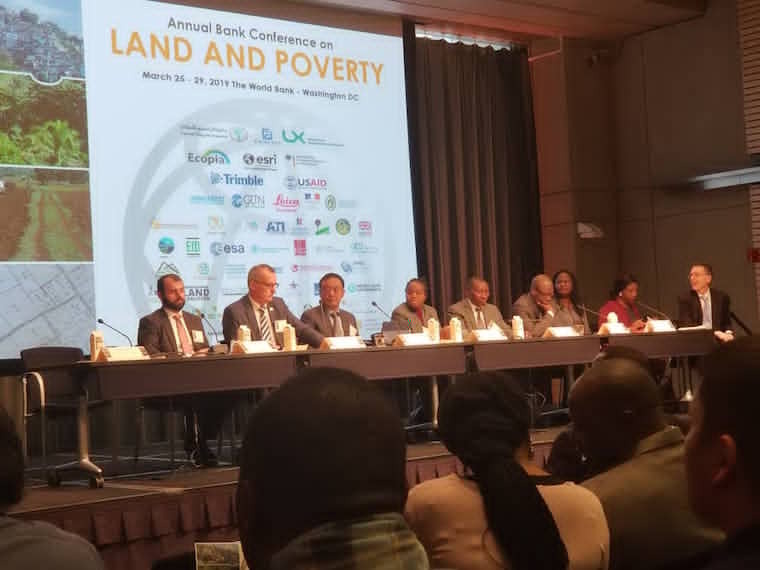 The four-day conference was also attended by Uganda’s Land minister Betty Amongi, the permanent secretary ministry of Lands Dorcas W. Okalany, director land management Richard Oput and other officials from the Lands ministry. There were also Lands ministers from Ethiopia and Malawi.